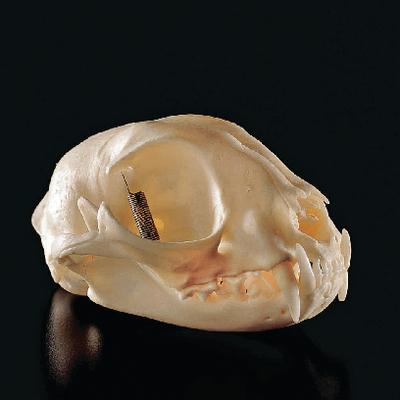 Get an up-close view of a domestic cat skull with the unmounted specimen of Felis domesticus. The jaw is hinged with springs to demonstrate movement. It includes a key identifying 12 structures.